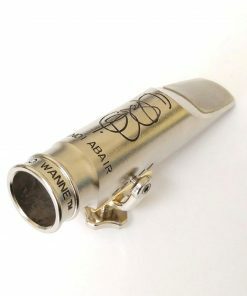 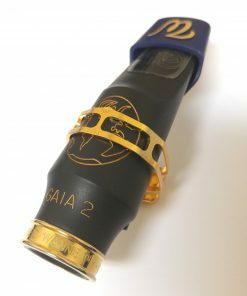 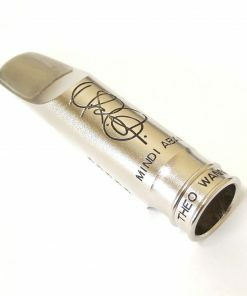 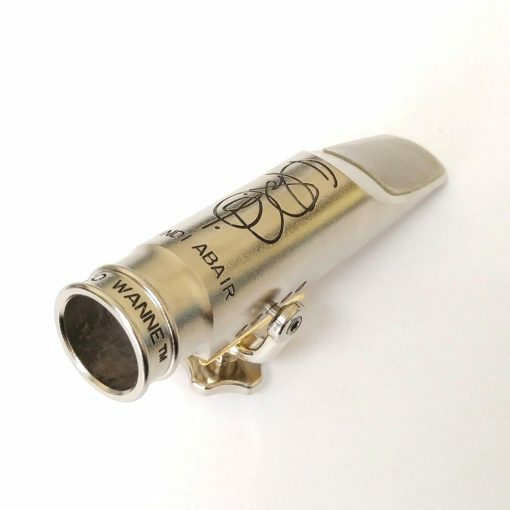 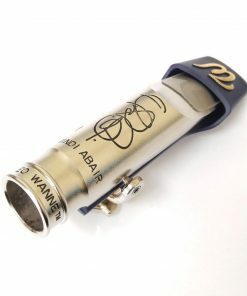 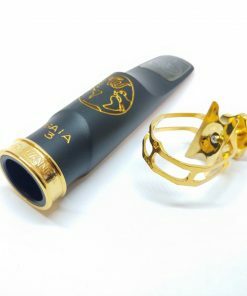 The Theo Wanne Mindi Abair Custom Mouthpiece has been a full-on collaboration between Theo Wanne and Mindi Abair to make the ultimate powerhouse alto mouthpiece! 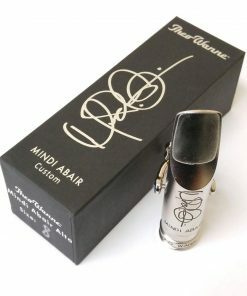 Mindi is a 2-time Grammy nominee who’s toured with Aerosmith, been featured on American Idol, won a 2015 She Rocks Award for Mad Skills, and filled in for Clarence Clemons with Bruce Springsteen. 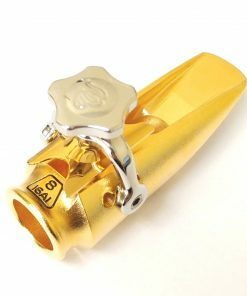 She knows how to rock a saxophone. 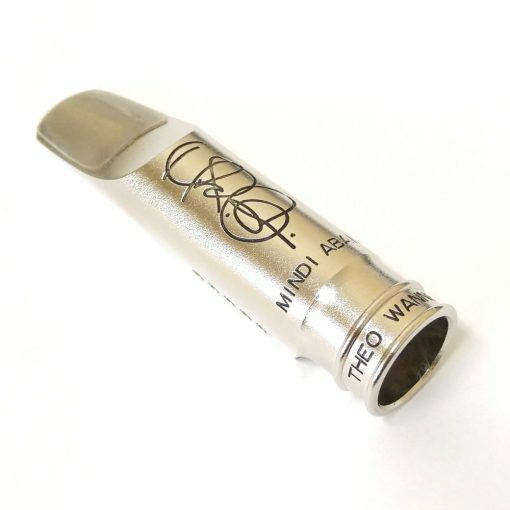 Theo and Mindi worked together since 2012 on this mouthpiece and three years later the Theo Wanne Mindi Abair Custom Alto Mouthpiece was born! 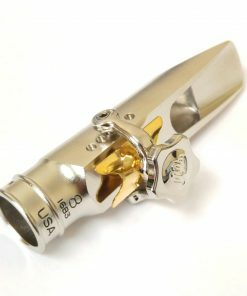 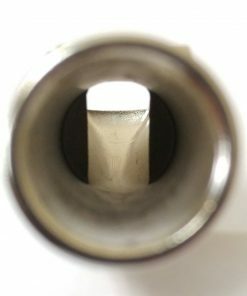 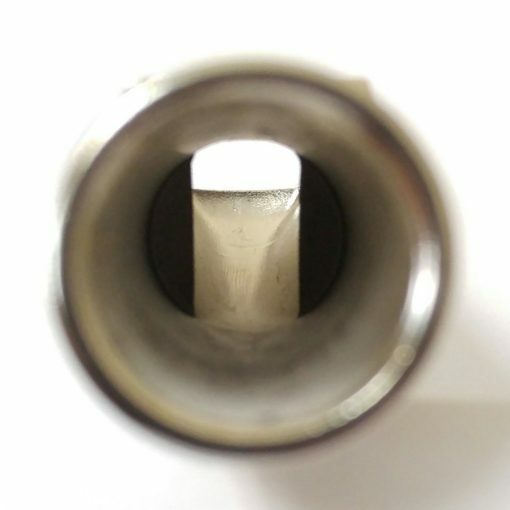 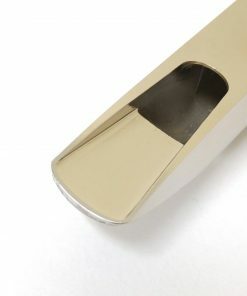 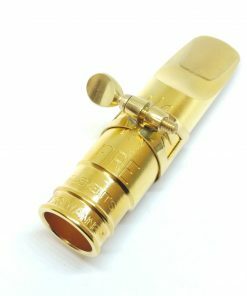 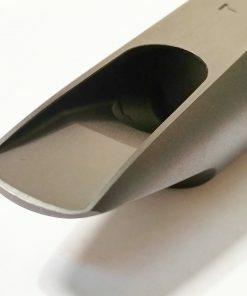 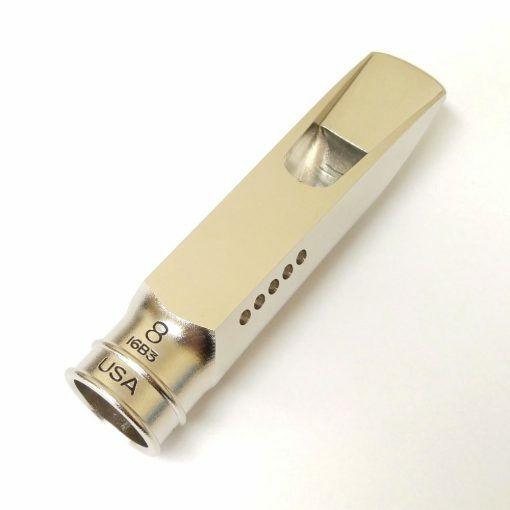 Completely new A.R.T (Advanced Resonance Technology) features have been developed for this mouthpiece, including a new ‘swept-step’ baffle with roll-over, a newly designed flat-side-wall chamber, and unique duck-bill beak. The result is the most screaming alto mouthpiece ever made, yet amazingly, when you want to step back and relax you can do that too, making this mouthpiece incredibly expressive! 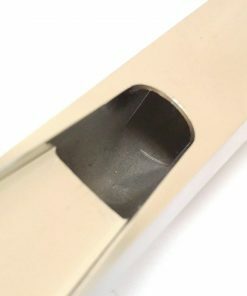 Kessler & Sons Music Special: Free Heavy Copper Reed Plate! 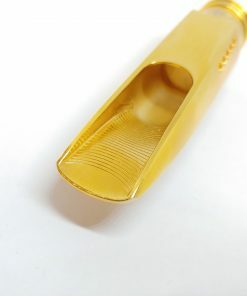 “Alive” reed plate with each mouthpiece. 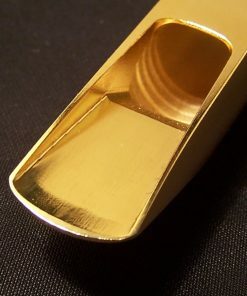 We then asked Theo to build us a custom, heavier reed plate that we could give away with every mouthpiece. 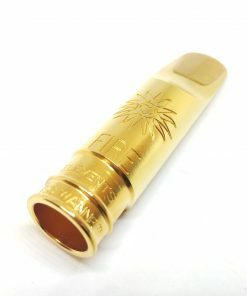 This heavy copper plate gives a richer core to the tone of the mouthpiece and also helps provide better reed sealing for thinner reeds. 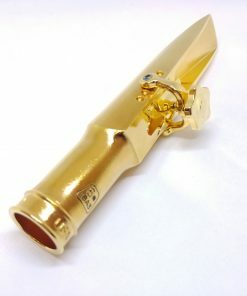 Just another example of Kessler & Sons Music going the extra step for our customers! 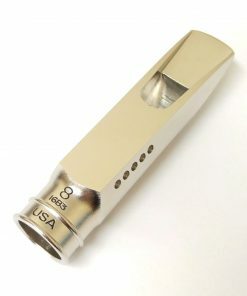 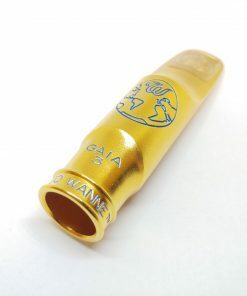 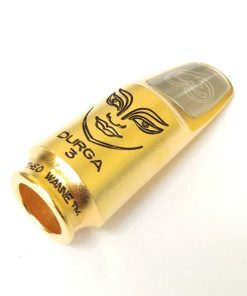 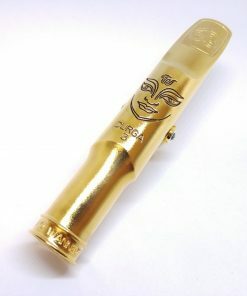 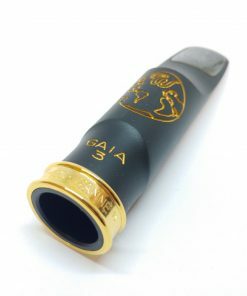 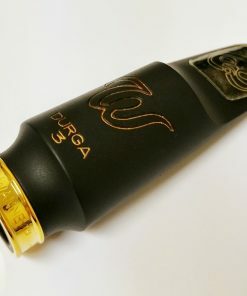 The ultimate powerhouse alto mouthpiece, yet able to whisper quietly when needed. 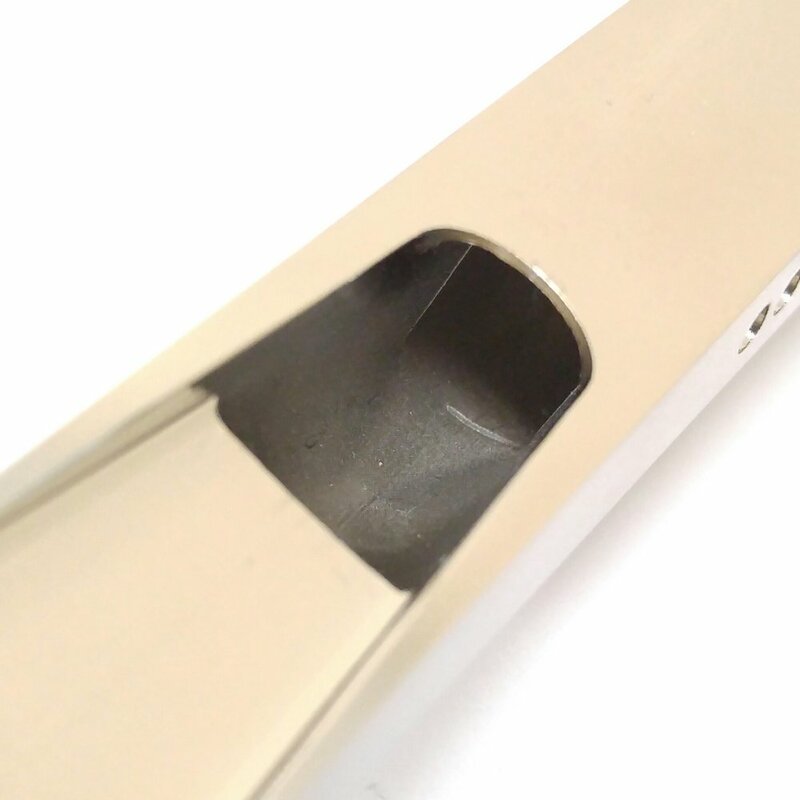 Completely new design in high-step with roll-over baffle with a powerful chamber that projects like mad but with incredible body to the sound! 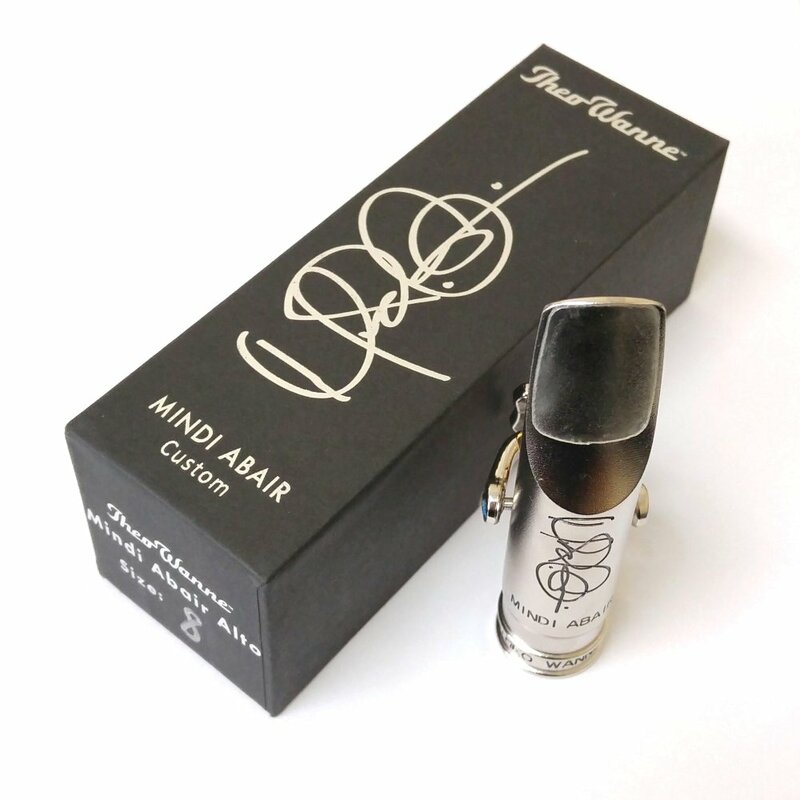 Collaboration between Mindi Abair and Theo Wanne three years in the making! 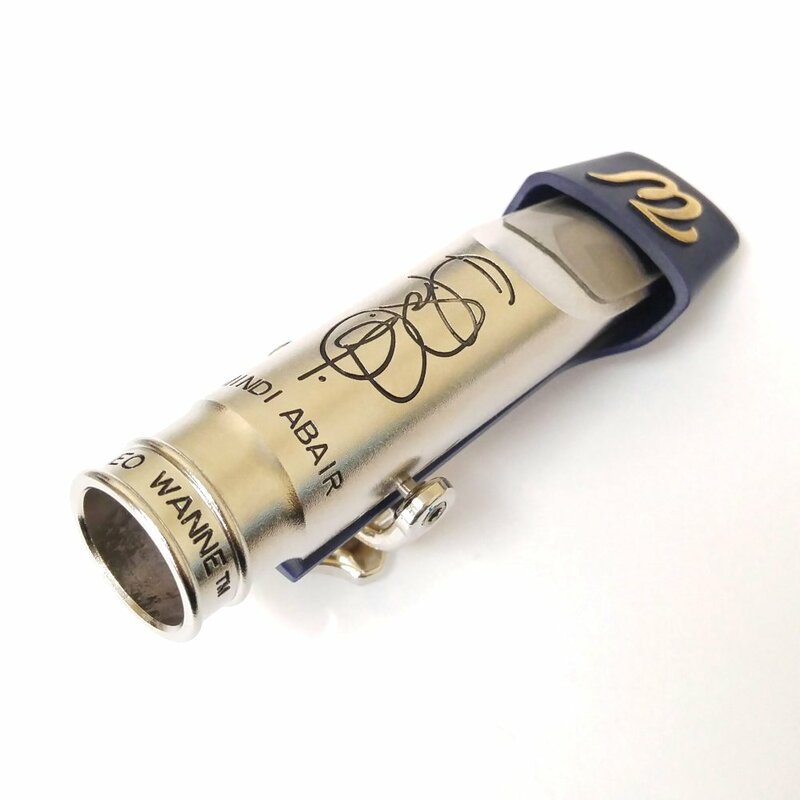 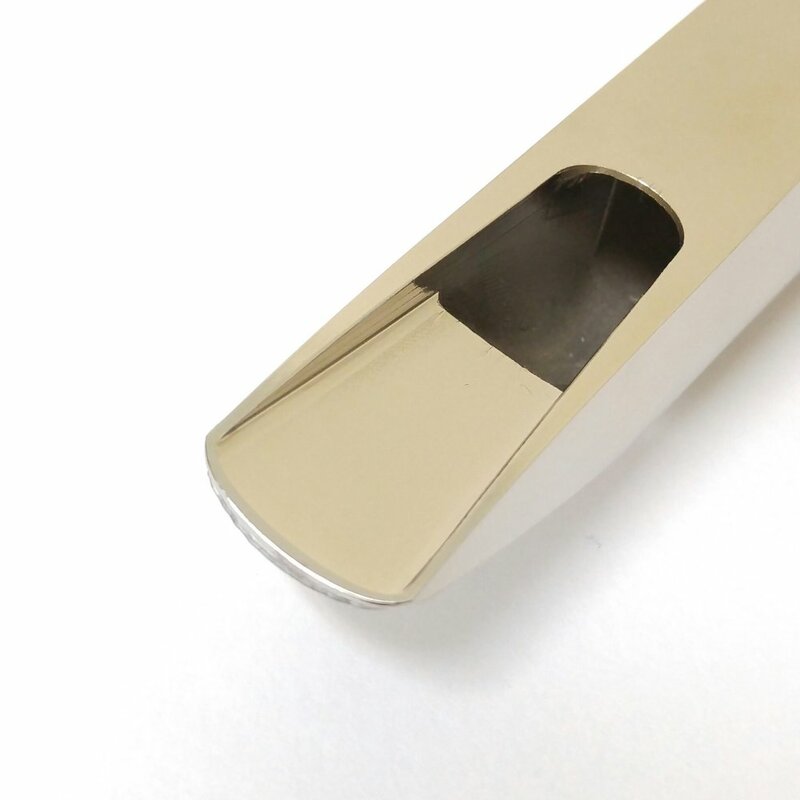 Made by Theo Wanne, the foremost expert on the design and manufacturing of vintage mouthpieces and maker of the highest quality mouthpieces in history. 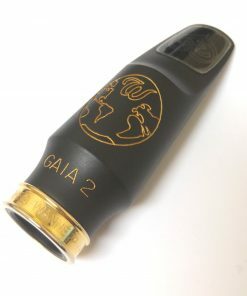 Reticulated Nickel plating with dark grey signature of Mindi Abair on the back. 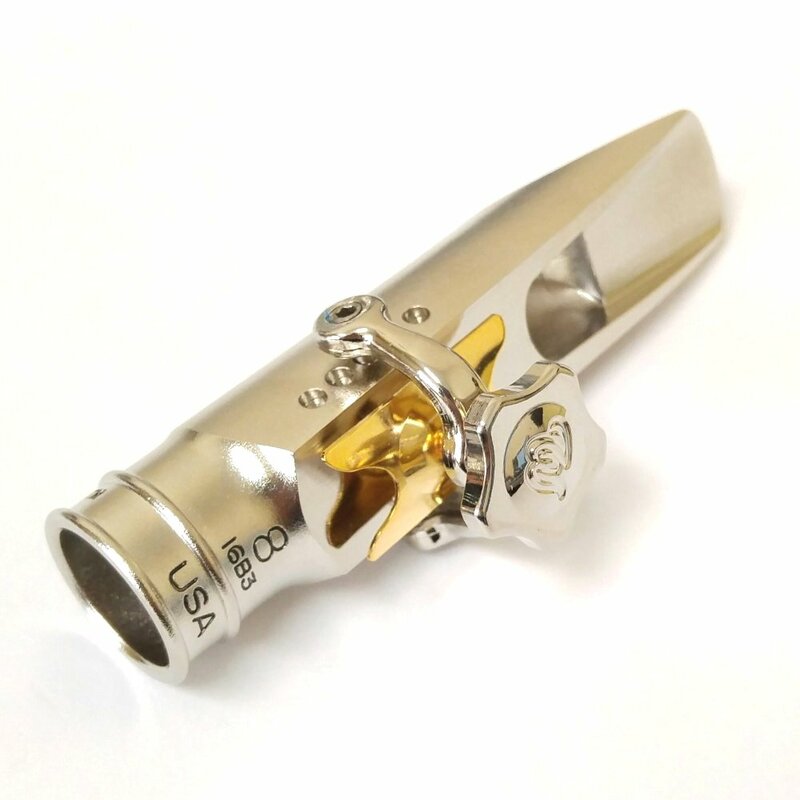 Integrated two-point contact Rhodium Plated Ligature and Alive Gold pressure plate.